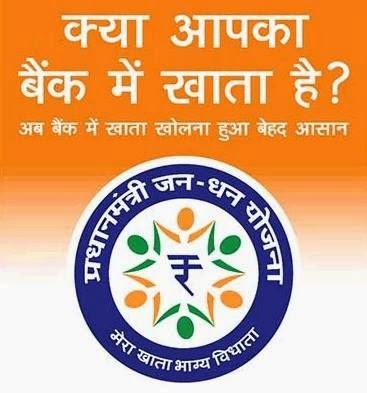 No need to Open Separate A/c in Jan Dhan Yojna - If you have one! Our Prime Minister Narendra Modi ji has announced pradanmantri jan dhan yojana for Indian people recently. Want to know about in detail? Read the following official details of it. On 15th august, 2014 he announced the launch of India’s most exhaustive financial mission called “Pradhanmantri Jan-Dhan Yojana”. In English we call it “People’s Wealth Scheme”. Well, what this yojana includes and what are the benefits of it to Indian people? I have included everything here. Jan-Dhan Yojana came in to existence through the new launched website mygov.nic.in. This website was launched by narendra modi only. There were more than 6000 suggestions from Indian citizens and after the evaluation of comments by jury; Jan-Dhan Yojana was decided to be launched on 15th august. The aim of jan-dhan yojana is to bring poor financially excluded people into the banking system by giving them facility of bank accounts and debit cards. - This yojana will include both urban and rural areas of India. All bank accounts opened will be linked to debit cards. Debit card will be issued under the Ru-Pay scheme. (Ru-Pay is an india’s own exclusive domestic card network owned by national payments corporation of India and it was generated as an option to Visa and MasterCard). - Every person who opens a bank account will become eligible to get an accident insurance cover of upto 1 lakh for his whole family. - Moreover, this yojana has set a goal of bringing in more than 7.5 crore un-banked families by opening more than 15 crore bank accounts at the rate of two bank accounts per household. - Once the bank account has been active for 6 months and has been linked to account holder’s aadhar identity then they would be eligible for an overdraft upto 2,500 Rs. Moreover, it will further be improved by the bank to 5000 Rs. Over time. If you have any questions or doubts regarding pradhanmantri jan-dhan yojana then please feel free to leave comment below. Pradhanmantri Jan-Dhan Yojana is beneficial for all Indians. Jay Hind!